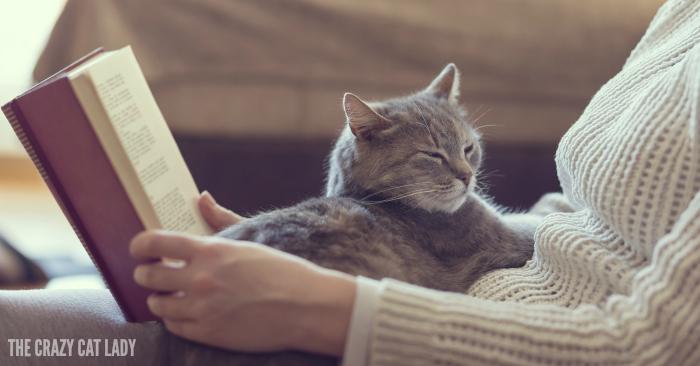 Some days you just want to curl up with your favorite felines and enjoy a good read. This is especially true when you’ve had a rough one. 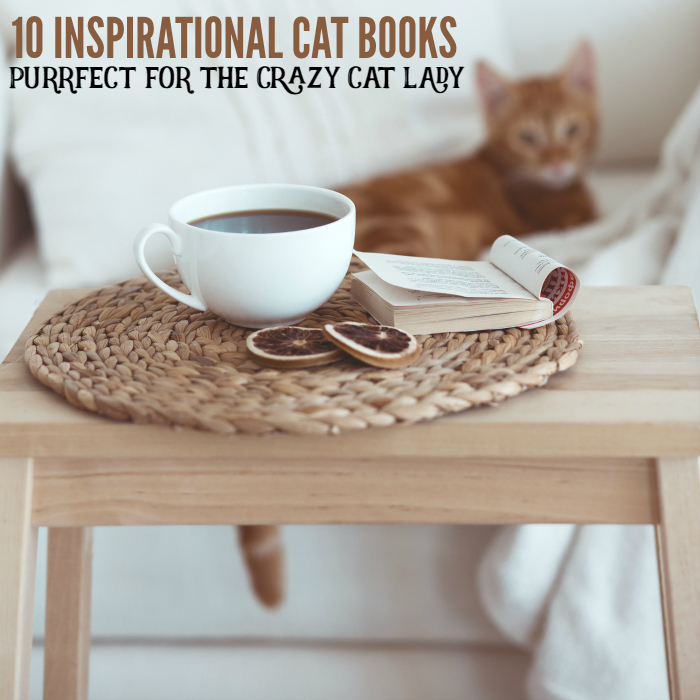 These inspirational cat books are perfect for you, the Crazy Cat Lady. 1. Inspirational True Stories of Remarkable Felines by Brad & Sherry Hansen Steiger is a collection of incredible stories about cats that have saved their owner’s lives. You may need a tissue, or even two or three! 2. Add Rescued Kitties Part One & Two to your reading list! Another collection of stories that takes you through a whole gambit of emotions. 3. The Cat in the Window and Other Stories of the Cats We Love leads us through true stories that further confirm our connections with our feline furbabies. When you rescue an animal, who truly gets saved? 4. A Street Cat Named Bob: And How He Saved My Life by James Bowen reminds us how healing that bond can be. This international sensation will tug at your heartstrings, so be prepared. 5. If your cats could write you letters, what do you think they would say? Well, Francesco Marciuliano thought about that and shared all the letters he thought you might receive. Check out all the advice from our fabulous felines in You Need More Sleep: Advice from Cats. 6. After you read A Letter to My Cat, by Lisa Erspamer, take the time to write a letter to your own best furry friend. 7. How much power does one cat have? In Paw Prints in the Moonlight, find out how one cat, who beat the odds, can change so many lives. 8. Gwen Cooper brings a new cat adventure in her book Love Saves the Day. We see the world and the dynamics of human relationships through the eyes of Prudence the cat. For more fun, curl up with your furbaby for this unforgettable novel. 9. Dewey: The Small-Town Library Cat Who Touched the World, by Vicky Myron, reminds us that through life’s challenges amazing things can happen. Dewey may be small, but his impact on others immeasurable. 10. No inspirational book list is complete without a Chicken Soup for the Soul book. In this case, it’s Chicken Soup for the Cat Lover’s Soul. A collection of heartwarming tales that will be sure to keep you inspired and filled. Do you have your own favorite inspirational cat book that’s not on the list? Make sure to share them in the comments. 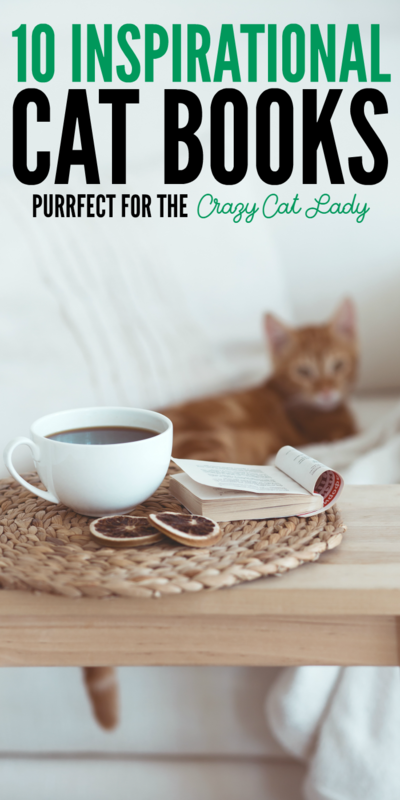 And check out these must read books for cat lovers, too!